The original Point Break, which stars Keanu Reeves and Patrick Swayze, is considered a 90s classic. It is a film with good action, some cheesy performances and moments which have become (in)famous. This meant that the news of a Point Break remake was met with the usual cries of travesty and heresy from those that love the original and pointlessness from everyone else. The fact is, the new Point Break movie is a pointless remake but not because of the quality of the original. 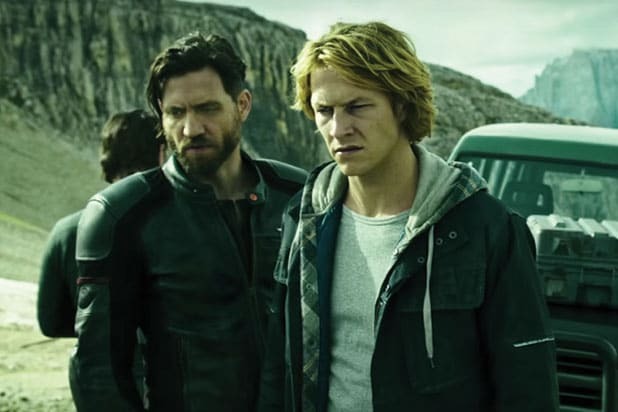 The new Point Break would work if it wasn’t a remake and in some cases, would actually be regarded as a better movie. If you compared the two, you’d find that they don’t actually share that much in common. The two main characters have the same names, it is about robberies of high-price goods and it involves a FBI agent going undercover with a group of extreme sports stars. Other than that, a lot is actually different and arguably, better in the new version. For starters, the movie is not specifically about surfers who rob banks. It is about extreme sports stars who are more like extreme eco-warriors who sabotage environmentally damaging companies. This may seem like a subtle difference but it means that this film features surfing but is not primarily about that, it involves robberies but on a larger, more grand and impressive scale. Actually, the way the robberies take place actually makes more sense! Of course there are some notable nods to the original movies. The masks the criminals use in the first robbery, the famous “gun to sky” scene and the return to surfing for the finale of the movie but these could easily be removed or be regarded as coincidental if you didn’t call the characters Utah and Bohdi and called the movie something else entirely. The film is more about “chasing Nirvana” than robbery and crime. The idea of the “Ozaki 8” and completing almost impossible challenges is actually a much more interesting story. If you’d called the movie “Chasing the 8″ or Ozaki’s Challenge” or even just “Extreme” you may have done the film a favour rather than any damage. The truth is, the studio wanted the film to be labelled as a remake because the hope would be to cash in on a very popular nineties movie. My argument is that this is unnecessary. If anything, the movie’s title and links to the Katheryn Bigelow original could do the film more damage, with people who love the original not interested in a remake and people who hated the original certainly not interested in a remake. It also means that the movie couldn’t establish an identity of it’s own and it had the potential to do so. The trailer sold the film really well and although the dialogue, general characters and some of the plot points are poor, the stunts in the movie are fantastic and enough to peak people’s interests. 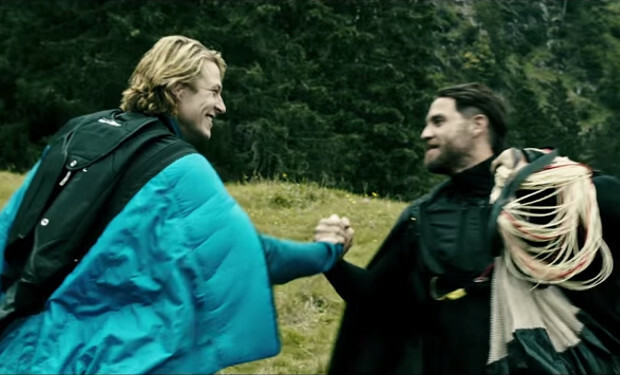 Overall, Point Break is a loose remake and this is worse than actually remaking the original movie completely. The original film is about bank robbing surfers, this movie is about eco-warrior, extreme sports criminals and that is the just the beginning of the differences. Without any links to the original, maybe this movie could have forged it’s own path and begun a decent franchise or at least commercial success, of it’s own. I forgot this was a movie that got made. Lazy Hollywood pumping money into ‘safer’ existing franchise instead of trying something new out. This was already re-made as good as the original as the original Fast and the Furious! Exactly. Weirdly that is what you see here. 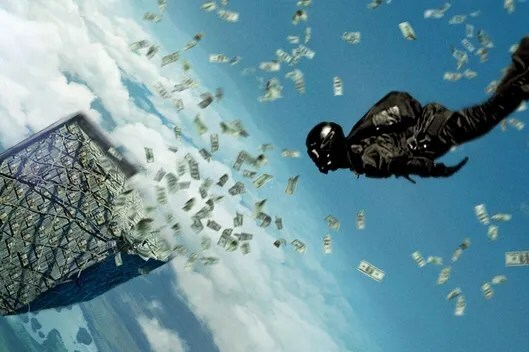 This Point Break remake trying to capture the magic of the original Point Break unofficial remake by rehashing Fast and the Furious (you may need to reread that a couple of times for it to make sense).